The Grand Rapids Creative Youth Center created a show that brings students' creations to life. 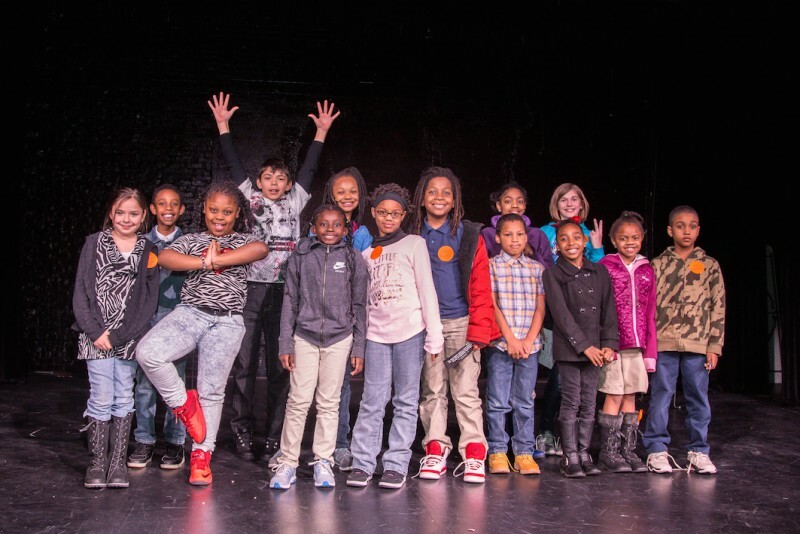 Third through fifth graders invented wacky characters that local improv actors will interpret in Grand Rapids' only all-ages improv show! Another cool way to support the CYC is their upcoming art show at Madcap Coffee. The exhibit features visual art by local professional artists responding to CYC student writing. The pieces will be on display October 16 until November 18. Be sure to be at the opening reception on October 22 from 1-3 pm for a chance to purchase some of these incredible pieces, as they'll be going fast for cash and check only! For more information, check out the event page. 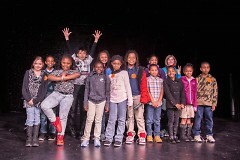 CYC authors were exuberant after last year's event! The Creative Youth Center (CYC) is looking forward to its upcoming improv show, The Characters that Lived. The event is an opportunity to witness Grand Rapids’ only all-ages improv show. 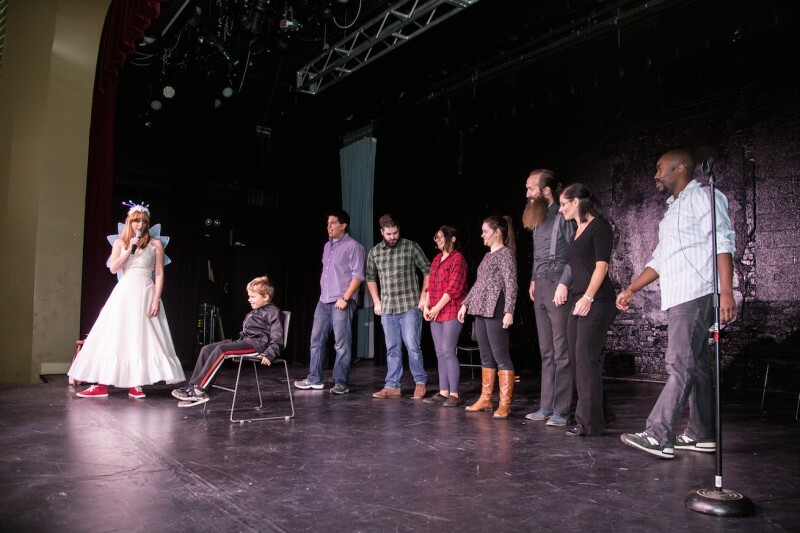 It will be performed at the Wealthy Theatre on Thursday, October 26th at 7:00 p.m. For those not familiar with the CYC, they are a local nonprofit and currently the only writing-focused arts organization for kids. All of their programming is free for students, and helps create cool events like The Characters that Lived. But the event, of course, would not be possible without the wonderful work and dedication of the actors who lend their time and energy to our students’ ideas. Amy Gascon directs the acting and is beyond pivotal in making the magic happen. She spoke of the energy she feels “bubbling over” during the night, and how rehearsals leading up the event involve a “flurry of weird accents, bright costumes, and interpretive dance moves.” If reading this brings to mind a colorful explosion hybrid of Kids Say the Darnedest Things and Whose Line is it Anyway, then Amy would agree wholeheartedly, as that’s how she pitches the show to newcomers. There’s really nothing else like it though: you will need to see it for yourself. The looks on the CYC authors’ faces will be as priceless as what is happening onstage. Looking at how the event unfolds, it is difficult to ignore the collaborative process behind it. This is why the CYC is such an exciting place and an exciting opportunity for kids: it helps create amazing outlets for young artists to see their words and their work transformed in many ways. And it proves inspiring not only for the CYC authors, but also for those who get to breathe life into them. Will, an actor who participated last year, is looking forward to doing so again. He described what the process looks like for actors as they prepare for the event. Tickets are on sale here and will be $12 up until the night of the show. We hope to see you there with an old friend, a new friend, or the whole family. All proceeds will help fund CYC programming for Grand Rapids students to explore writing and imagination. The CYC believe that while nurturing kids’ writing can give them access to the world, fostering their creativity may allow them to change the world. Come explore the powers of laughter and creativity with the CYC on October 26th! For more information on what the CYC is and does check out their website.